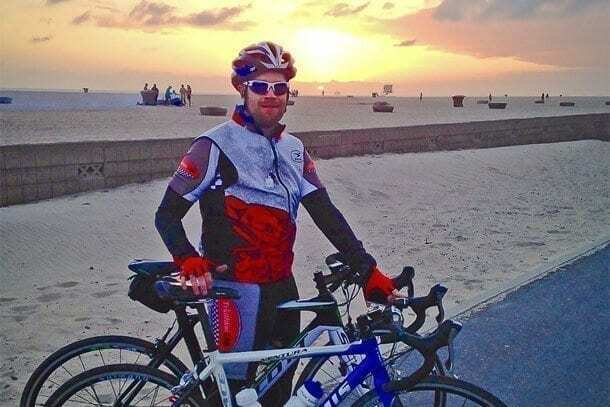 Costa Mesa – Local athlete Jason Warden is set to tackle the most daring event of his life – the 2015 AIDS/LifeCycle – a life experience his former 330-pound self never imagined. By 2006, Warden had undergone three surgeries to repair the cartilage in his knees, damaged due to his weight. Not only was he told by his doctor that he would never run again, he was already developing high blood pressure, diabetes and sleep apnea. After eliminating gastric bypass as an option, she encouraged Warden to join a weight loss program to help him learn how to eat better. Warden joined Weight Watchers International hoping to have surgery if he did not achieve his desired results in a year. Within that year, Warden lost 123 pounds, and his goal evolved to support his new lifestyle of eating better and making exercise fun. His new life was reassured in 2008 when he accepted a job to be a leader and inspire others to pursue their best health. Since his transformation, Warden has achieved more than was afforded to him from his original prognosis. 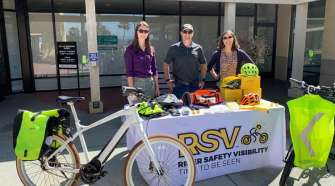 Since that fateful visit with his doctor, he has participated in numerous athletic events including the Irvine Lake Mud Runs, run five half-marathons and completed the 101-mile OC Ride for AIDS in October 2013, just to name a few. 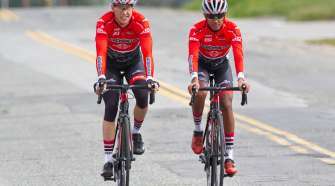 Today, Warden prepares for the 2015 AIDS/LifeCycle, a bike ride that spans 545 miles of California landscape from San Francisco to Los Angeles May 31 through June 6. As of Memorial Day, Warden has exceeded his fundraising goal of $10,545 and is part of the top 200 fundraisers out of 3,000 cyclists, roadies and virtual participants. 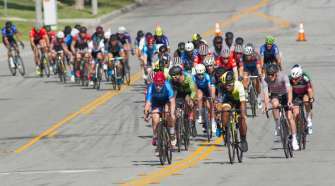 The event is designed to be “a life-changing experience for thousands of participants from all backgrounds and fitness levels united by a common desire to do something heroic,” according to the website.